Firstly I would like to thank Peter at Sybasonic for sending this sample for review, I have reviewed for them before and always found their products to be very well made and sound excellent, yet they do not have a very large following. 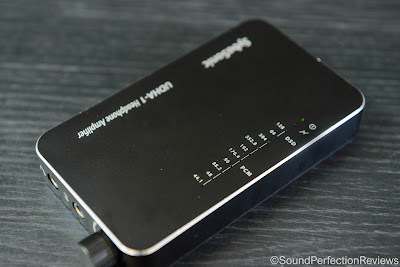 As always I will try to write an honest review, this amp/DAC received over 100hrs. Gear Used: HP Laptop / Opus #2 > UDHA-1 > HiFiMan RE2000 / Beyerdynamic DT990 600Ohm / Grado SR60e Wood. The packaging is a simple brown card box, I am unsure whether this is the final retail packaging as there is no info about the device on the box. The DAC/Amp is held tightly in an inner cardboard tray, the thing I like is there is no plastic, saving the environment starts here. The built of the UDHA-1 is excellent the casing is solid metal and very well finished, the volume knob is smooth to operate, the sockets are tight with no play. It is also very compact but solid feeling, no issues whatsoever with the build of this DAC/Amp. Accessory wise you don’t really get anything, just a micro USB cable and a disc with the manual and a copy of Jriver on it. I would have liked to have seen a nice good quality short 3.5mm to 3.5mm interconnect, possibly amp straps and adhesive rubber feet would be helpful. 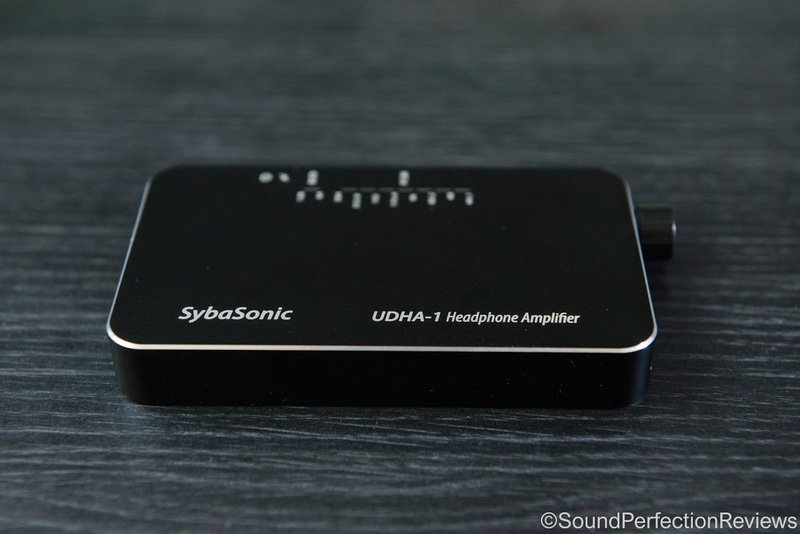 The UDHA-1 is a portable DAC/Amp combo that is full of features. First off it has a micro USB input on the back for use as a DAC with phones and computers. On the back there is also a switch for changing the power source from battery to USB. This is excellent when you are hooked up to a computer and don’t want the battery to trickle charge once full. On the front you have the 3,5mm headphone output, a 3.5mm analogue input which also serves as a line output when being used as a DAC, and the volume knob which is also the on/off switch. On the top you have LED’s indicating the sample rate being played, power status and if it is plugged in for charging. It’s a very versatile little thing with both digital and analogue inputs, along with a line-out so it can be used as a standalone DAC. First off the gain isn’t overly high but could still be a little too much with very sensitive IEM’s, but this thing has quite a bit of power. It managed to drive the DT990 600Ohm pretty well, but the bass was not quite as full as when powered with a bigger desktop amp. Now for a portable amp it has plenty of power, and the sound is also excellent being in my opinion a very balanced, neutral and detailed amp/DAC. 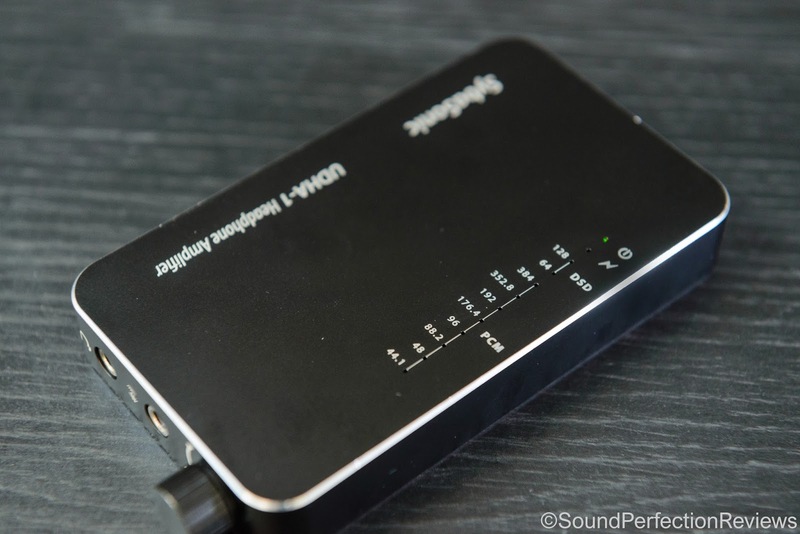 Using it with a PC will increase the output power and clarity by quite a large margin over the on-board audio. 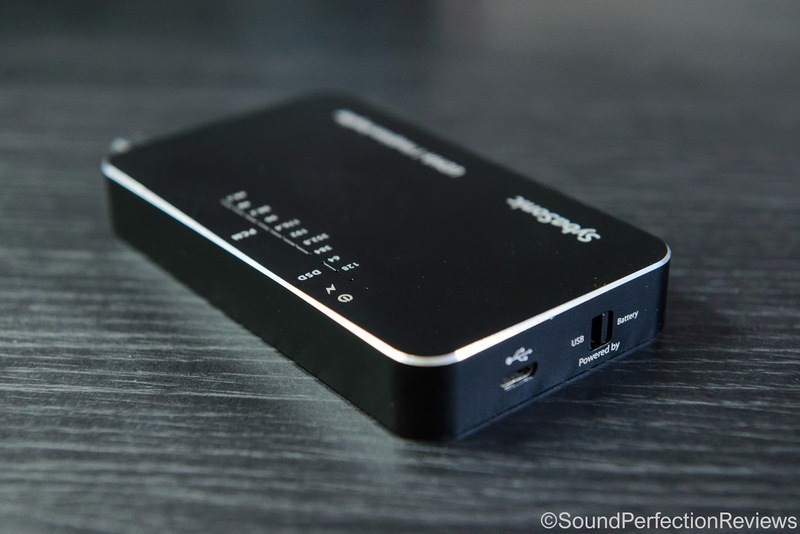 Pair this with a phone and again you’ll benefit greatly from a wide and detailed sound. Using it with the 64 Audio U6 there is no background noise, it is dead silent, the sound is so precise and detailed, you can hear subtle details with ease. The bass is taught and controlled, never overwhelming and easily keeping up with fast transients. Yet the body can come out when called for and it is incredibly articulate. The mids are detailed and possibly a little analytical, and the highs extend effortlessly without any roll off. The soundstage is excellent being wide and deep, instrument separation is also very good with air between everything. 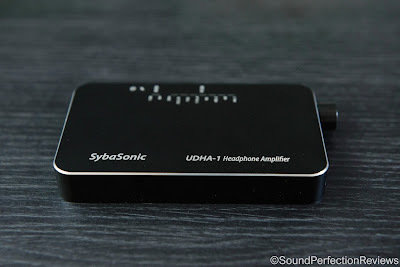 Conclusion: There is so much competition in the market currently, but I still think the UDHA-1 is worthy if you are looking for a portable DAC/Amp for easy to medium hard to drive headphones. Yes it won’t replace your desktop setup, but for on the go and use at the office it really is excellent. The sound is in my opinion a reference sound with excellent detail retrieval and extension on both ends. 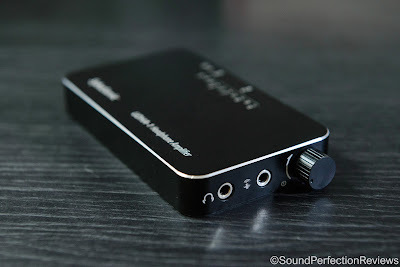 Another big plus is the versatility, the internal DAC is actually very good so you can use it as a standalone DAC feeding another amp and not be missing much at in the price point. The UDHA-1 is built like a tank and will last a long time, it is well engineered and feature packed for its small size.